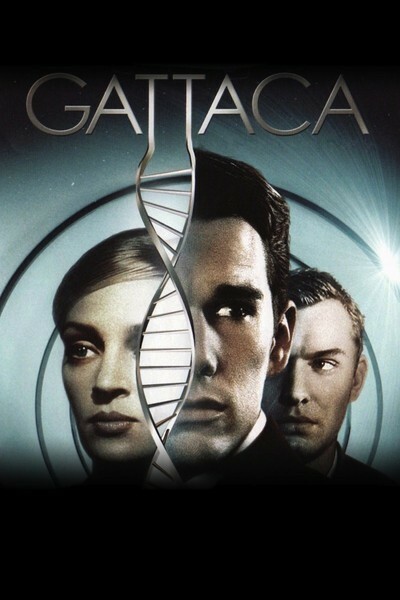 Gattaca – Did You See That One? Vincent Freeman (Hawke) has been born on the wrong side of the genetic scale. His genetically inferior status has relegated him to menial jobs, but his desire for more has not been lost. His hopes for a chance at space travel are renewed when he assumes the identity of Jerome (Law), a genetically superior man. Now Vincent has to maintain his new identity against increasingly difficult circumstances if he wants to see his plan through to the end. This film was the creation of writer and director Andrew Niccol (In Time). The cast features a great list of talented actors including Ethan Hawke (New York, I Love You), Uma Thurman (Kill Bill: Vol. 1), Jude Law (The Talented Mr. Ripley), and the legendary Ernest Borgnine (Marty). This 1997 film was one of the first Hollywood productions to look at the questions behind genetic manipulation. The basis of the story allows the film to ask a lot more questions than it answers. The end result is a story that has a beginning, middle and end, but leaves a lot up to the viewers. This isn’t an incomplete movie, but one that opens a lot of doors along the way. The characters are limited in number, but very interestingly written. The tension builds from the very beginning, allowing the movie to move at a lightning pace. My one issue with this movie is the somewhat abrupt conclusion to some aspects of the story. These moments seem somewhat easier than they should be. Despite my complaint, this is one of the better written science-fiction films that I’ve seen. The acting in this movie is very good, featuring strong performances from all of the stars. Ethan Hawke does a good job working the tension into his character as the story builds behind his actions. Uma Thurman does a good job with her role as well. Her character called for a range of emotion that she brought out nicely. Jude Law is also great in his performance. This trio really anchor the film, allowing the story to be told with all the drama it needs. Ernest Borgnine is also great in this one, but used far too sparingly. His performance almost seems like an aside when the story comes together, which was somewhat disappointing. Overall, this features some good acting from all of the main actors in the movie. The visuals in this film are designed to bring out a unique vision of the future. This was accomplished by utilizing a number of locations with a timeless quality to them. These locations include the Marin County Civic Center designed by Frank Lloyd Wright. The movie also features great set design, costumes, and other aspects that really add to the feel of the story. This movie really does a great job creating an alternate version of the world as we know it. The timeless quality of the production allows the movie to feel futuristic without having to point it out with gimmicks or tricks. All of these aspects round out the movie nicely. The film eventually was nominated for an Academy Award for Best Set Decoration. Overall, this is one of the better science-fiction films I’ve seen in a long time. The story is interesting and thought-provoking. The acting is well-rounded and builds on the themes of the story and the emotional motivation of the characters. The visuals serve to bring it all to life wonderfully. I give this one 4.7 out of 5 stars. I remember seeing this one as a kid, and recently watched it as an adult. I loved it. It’s one of the only science fiction movies, particularly from the 90’s, that does not show its age. I can hardly believe its almost 20 years old. They were really on point with the set design, and making the dress/designs very “1950’s/1960’s” because that visual quality is actually making a comeback these days. The story and acting is great too, but I really appreciate the timelessness of this movie. I think it’s a classic for that alone. Thanks for your comment! I think you hit the nail on the head about this one. It’s definitely timeless. Saw this for the first time last year and I loved it, such an interesting style and concept. Definitely one of the better visual presentations in science fiction. Pingback: Big Hero 6 | Did You See That One?